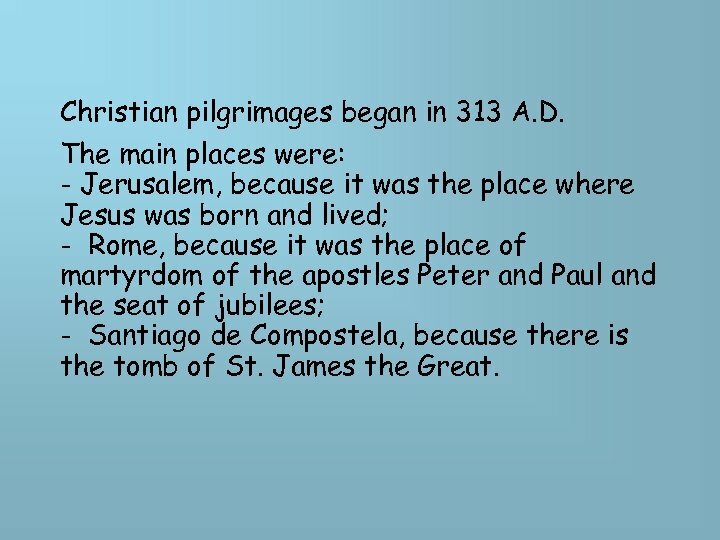 Christian pilgrimages began in 313 A. D. The main places were: - Jerusalem, because it was the place where Jesus was born and lived; - Rome, because it was the place of martyrdom of the apostles Peter and Paul and the seat of jubilees; - Santiago de Compostela, because there is the tomb of St. James the Great. 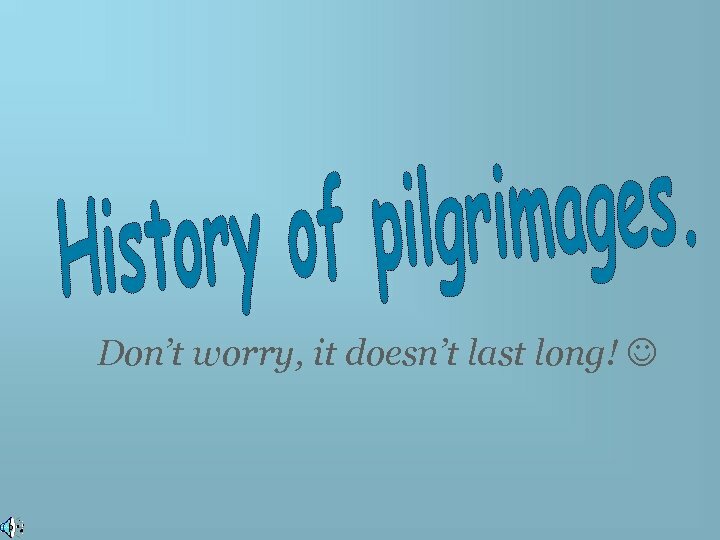 To reach the Holy Land, pilgrims preferred to go by sea. 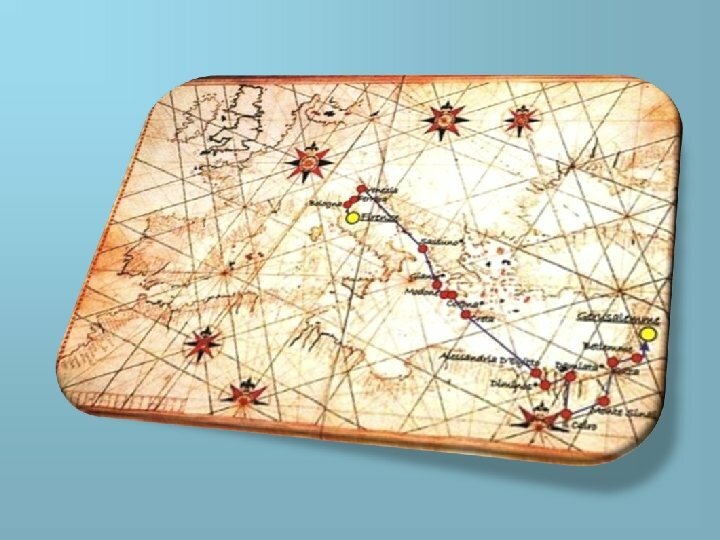 During the Middle Ages another route passed through the Balkans because the king of Hungary was a Christian. 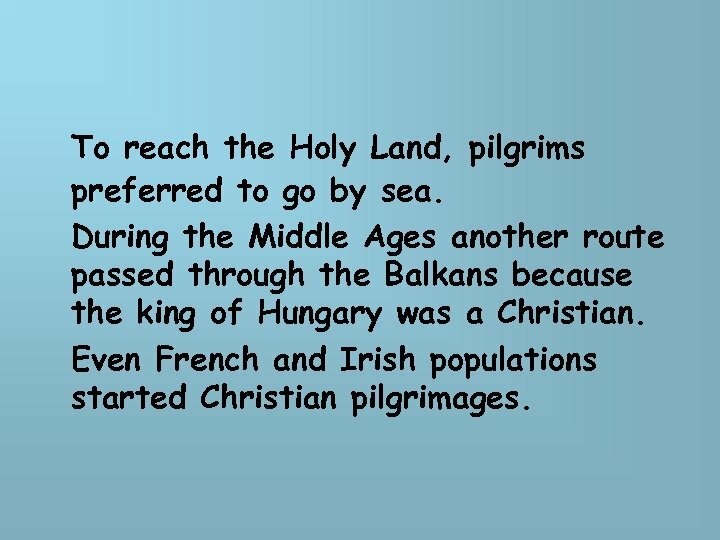 Even French and Irish populations started Christian pilgrimages. 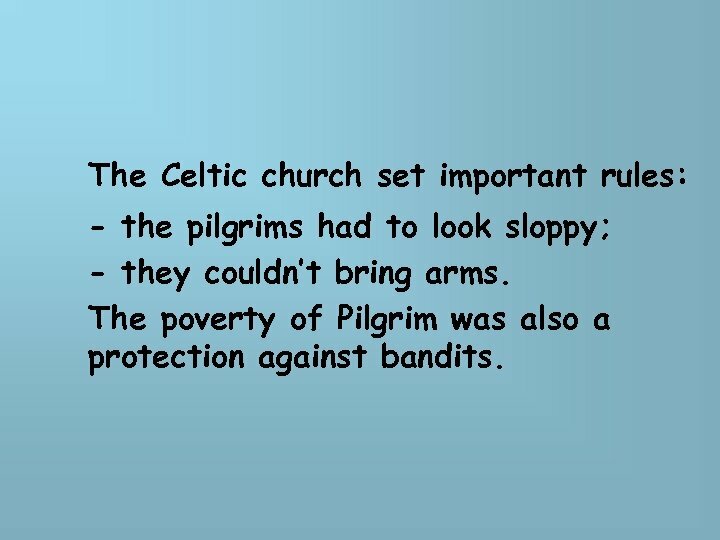 The Celtic church set important rules: - the pilgrims had to look sloppy; - they couldn’t bring arms. 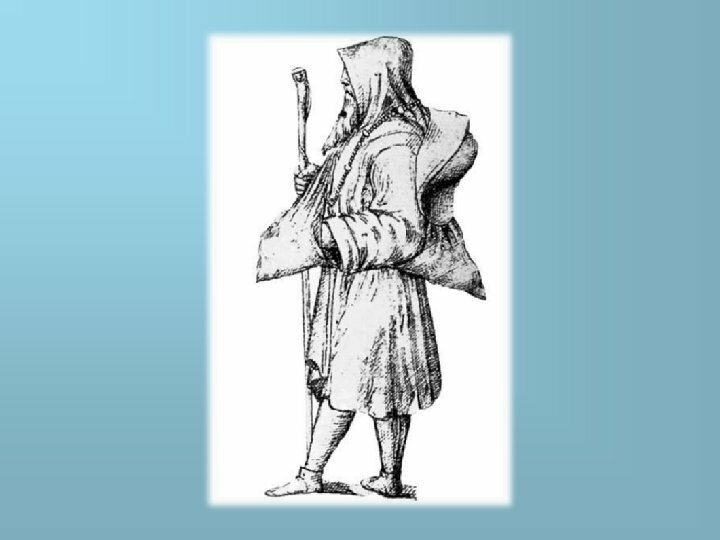 The poverty of Pilgrim was also a protection against bandits. On the way they could find travel companions or join groups of believers. 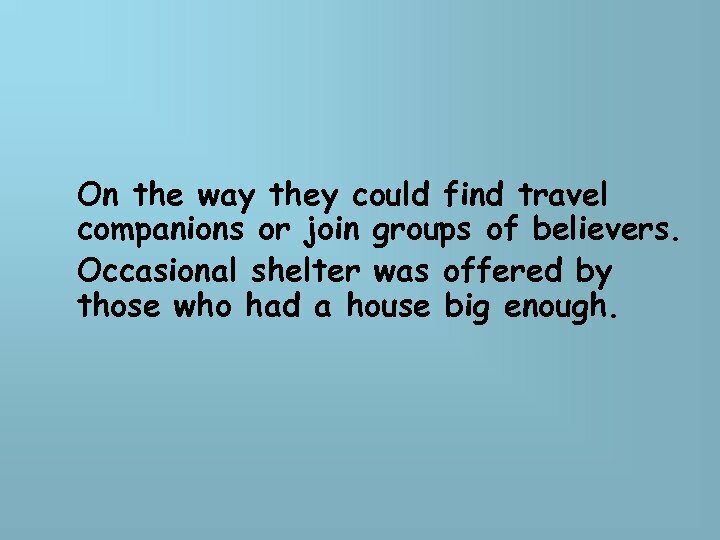 Occasional shelter was offered by those who had a house big enough. 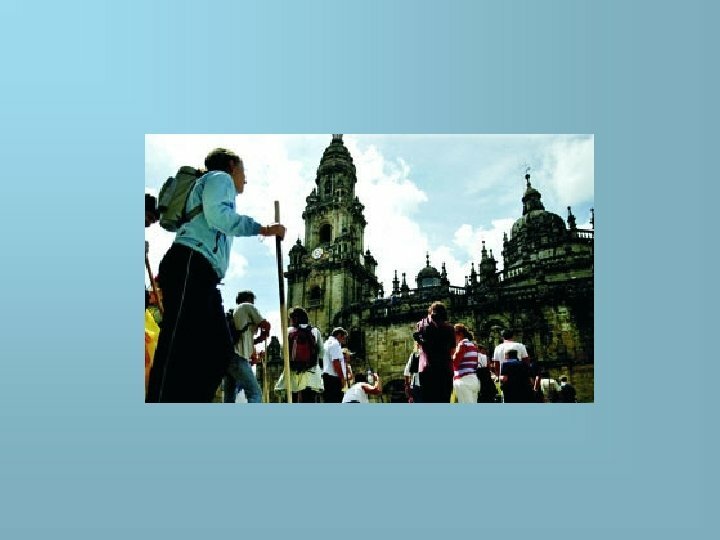 Knowledge, besides spirituality, became reason for mobility. 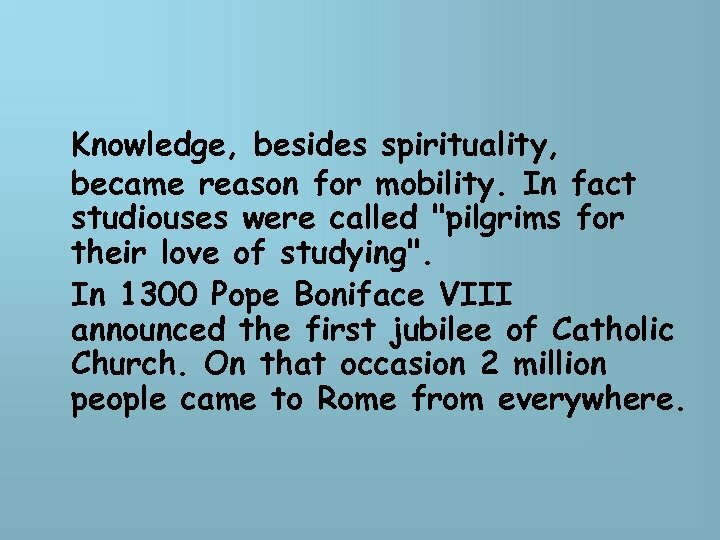 In fact studiouses were called "pilgrims for their love of studying". In 1300 Pope Boniface VIII announced the first jubilee of Catholic Church. 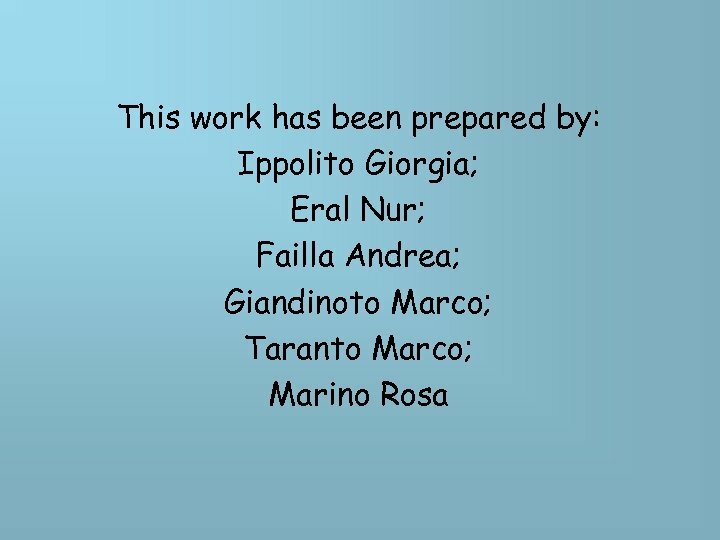 On that occasion 2 million people came to Rome from everywhere.